kabaya extreme team 4 pack. 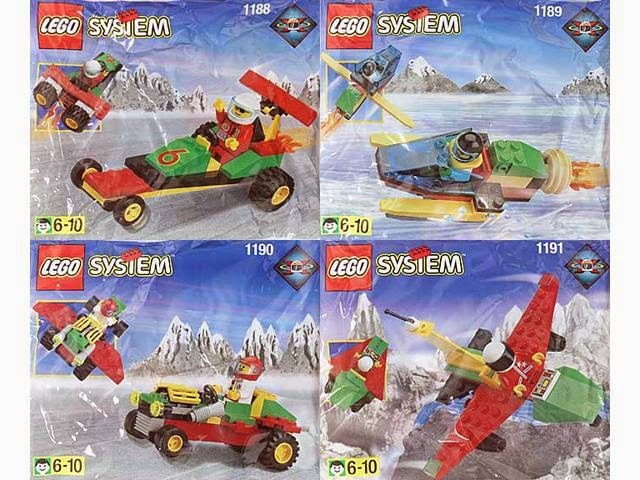 included 4 sets: 1188 fire formula, 1189 rocket boat, 1190 retro buggy, 1191 try bird. 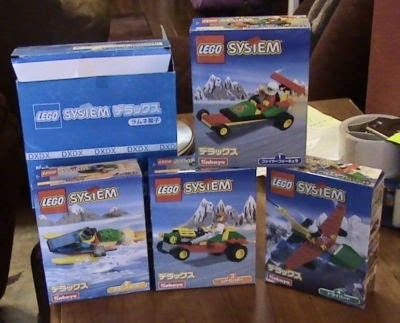 come with a race car, a race boat, a retro buggy and a light aircraft. minifig included 2 racer minifigs, a driver minifig and a pilot minifig.